The US Sailing Nominating Committee named new members of the National Governing Body's Board of Directors who were officially elected on Thursday, October 11, 2018 at US Sailing's Annual Meeting in San Francisco, hosted by the St. Francis Yacht Club. Cory Sertl (Rochester, N.Y.) was elected as the next President of US Sailing. Rich Jepsen (Alameda, Calif.) was elected Vice President. Read the Q&A with Cory Sertl at the end of this announcement. Sertl, Jepsen, Schoendorf, Sangmeister, Arms, and White will serve one three-year term. Johnson will serve one two-year term. Sailing is a family activity for the Sertls. Cory and her husband, Mark have two grown children, who sailed at the college level – Katja (Boston College, 2016) and Nick (Harvard, 2018). US Sailing: Looking back at your sailing career what were your most influential moments and experiences? Cory Sertl: One of the most influential experiences was my involvement in training for the Olympics. It is a unique opportunity to work your hardest towards a goal and striving for excellence. 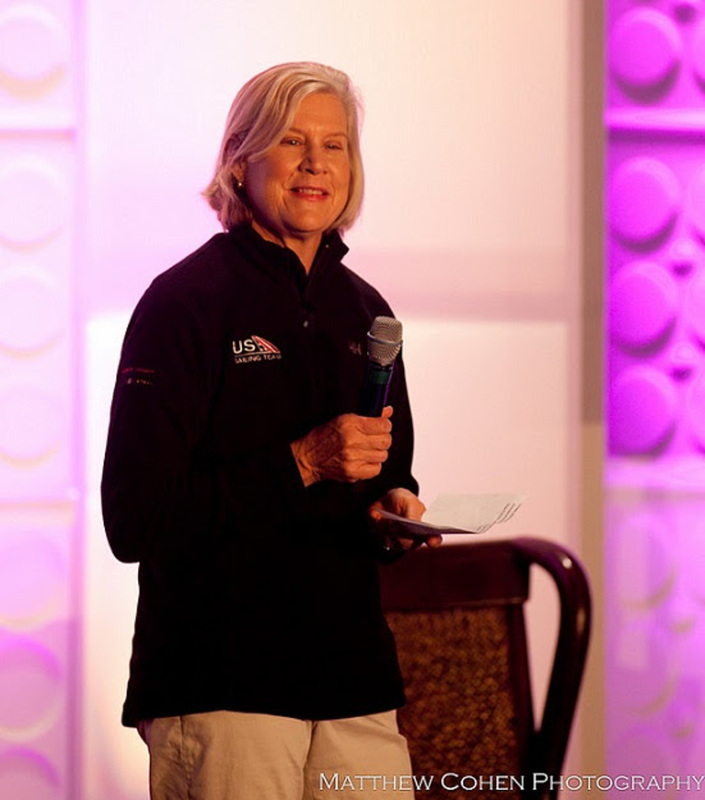 Placing second in the Olympic Trials and then becoming a training partner and Olympic Team member in 1988 was a unique experience to be part of a group of women that helped Allison Jolly and Lynne Jewell win the first gold medal for women's sailing in Olympic history. We celebrated 30 years of women in Olympic Sailing at the Leadership Forum this year and it is impressive how so many women who have had the experience of training for the Olympics have stepped up in their own way to give back to the sport. I have had so many experiences in the sport that have been made richer by those who have supported the sport: event organizers, race officials, volunteers at the club level and teammates. US Sailing: As you embark on this role, what will be your primary objectives and focus? Cory Sertl: As a board member over the past few years we have created a "roadmap" in the form of a new strategic plan that focuses on building lifelong sailors and a diversity of pathways for sailing. This is a great plan that we worked hard on, getting input from numerous stakeholders across the country about what the role of US Sailing should be in providing leadership and resources to the sport. NSPS (National Sailing Programs Symposium) and the Sailing Leadership Forum are tremendous events to be part of that are really effective at energizing instructors, coaches, program directors and those that are involved in leadership of sailing organizations from all over the country. Our focus is on improving our educational tools and sharing them with the programs that will use them. US Sailing: What are you looking forward to most?